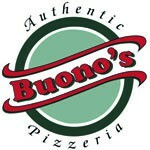 From the pizza fashioned from hand-kneaded dough made fresh daily, to the homemade sauces and sausages, to the fresh mozzarella, and gas-fired brick ovens, eating at Buono's is like dining at a pizzeria in the Old Country. 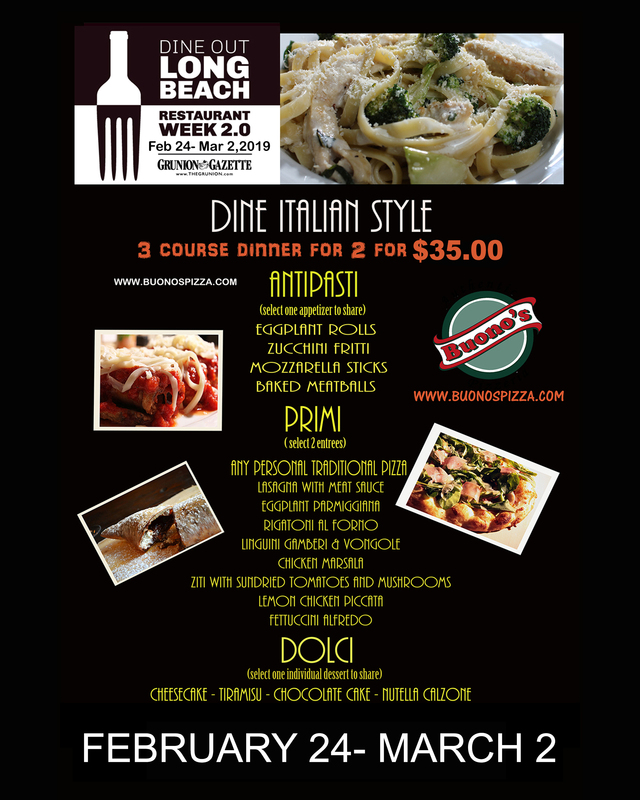 When you order any of their Italian specialties, such as lasagna, spaghetti, eggplant parmigiana, or linguine e vongole, you are tasting a bit of Italy in the heart of Downtown Long Beach! 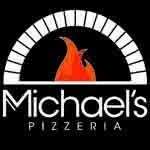 At Michael's Pizzeria food is heritage. We know that pizza tastes best when it is wood-fired, that mozzarella should always be freshly made, and that meals are enhanced when paired with the perfect Italian wines. From our service to our atmosphere, our flour to our sauce, this is our tradition and on that has been passed down from generation to generation. Owner Terry Antonelli brings a warm and elegant approach to his award-winning restaurant, which is housed in a former bank hailing from the early 20th century. The dining experience is elevated with timeless interiors match the old world "Italian Charm" coupled with modern comforts of new world creativity. 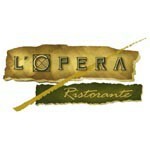 Service is both attentive and comfortable with a spectacular wine list and over the top Italian cuisine that has been a staple of Downtown Long Beach for more than 25 years. The bar features a nightly apertivo and is an ideal backdrop for mixing and mingling over small plates and cocktails.